Skincare is something i never used to care much about. I know its shocking but its true. I used to moisturise and that was about it. Now i can't get enough of new skincare. I exfoliate, moisturise day & night, tone, use serums and more! My skin has definitely improved but my skin definitely tells me if certain products don't agree. 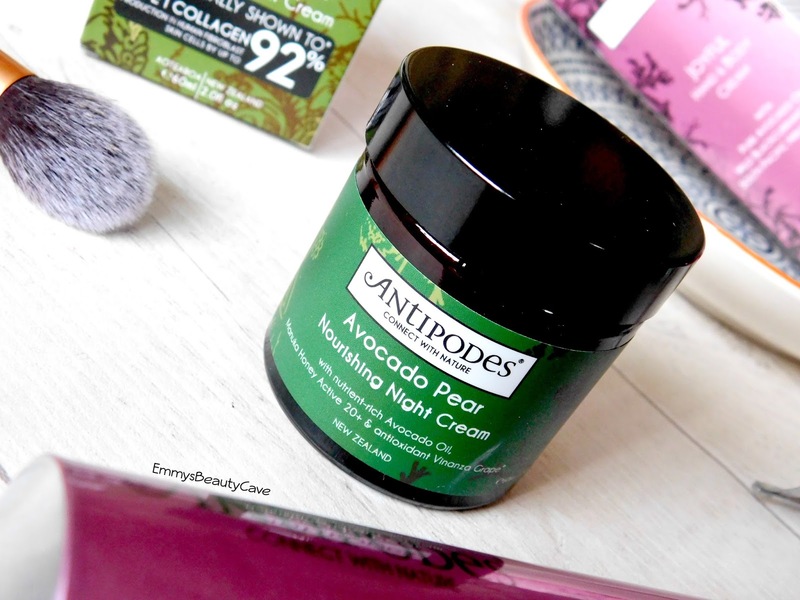 Antipodes is a brand i first used last year, the main reason i love this brand is that it is a natural/organic range. One product i am loving is the Antipodes Avocado Pear Nourishing Night Cream which is just amazing. The ingridients include 100% pure avocado oil, manuka honey, marigold flower and sandalwood. The Avocado Pear Nourishing Night Cream is designed to improve and heal skin as it is full of Vitamins E, A, B1, B2, C and D. I have been using this for two weeks now and i have already noticed how much healthier my skin is looking. Since the weather has become colder my skin became dull and dry, even though it is super oily usually. Since using this night cream i have healthy skin and the dullness is nowhere to be seen! 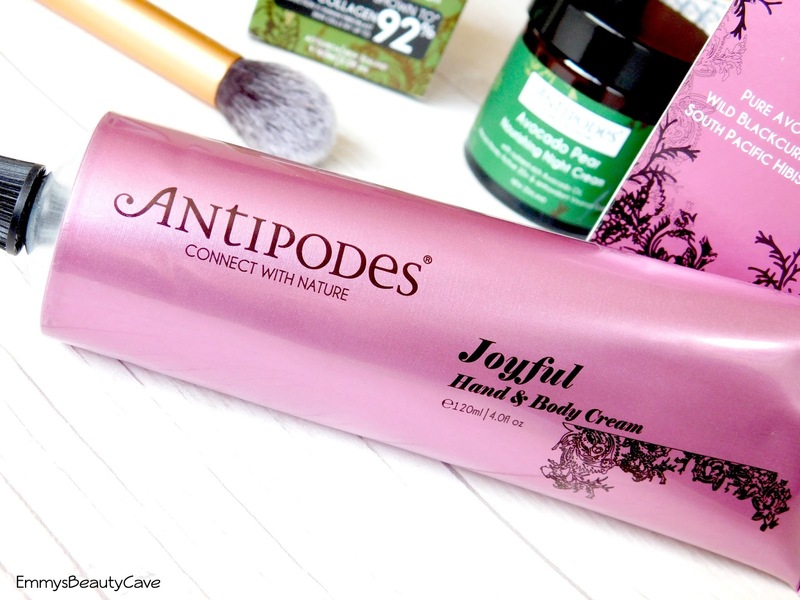 I have also been using the Antipodes Joyful Hand & Body Cream which i have fallen in love with. Can we just take a moment to stare at this beautiful packaging? I cannot get enough of this pink metallic packaging. The tube is massive compared to others as you get a huge 120ml! The scent is gorgeous, the cream ingridients include Avocado oil, Wild Blackcurrant Berry and Hibiscus Flow which create such a lovely summer berry scent. I have been using this as a hand cream daily as my hands have become really dry. Just after one use my skin is feeling refreshed and the dryness has gone! I keep this in my handbag as it is perfect to travel with in this squeezy tube. Have you tried anything from the Avocado Oil Range?